Apple today unveiled new 13 and 15-inch Retina MacBook Pros, which have been updated with Intel’s latest processors for enhanced performance and significantly improved battery life. The 13-inch version features a Haswell processor, while the 15-inch version comes equipped with a Crystal Well processor. While the 15-inch Retina MacBook Pro retains the same form factor as its predecessor, the 13-inch version is now thinner, with both versions measuring in at 0.71-inches thick. With the new processors, the 13-inch Retina MacBook Pro will now have 9 hours of battery life, while the 15-inch version will have 8 hours of battery life. The 13-inch Retina MacBook Pro now features dual-core Intel Core i5 processors up to 2.6Ghz, with Intel’s integrated Iris graphics for 90 percent faster performance than the previous generation. At an added cost, the 13-inch version can be upgraded with 2.8Ghz dual-core Intel i7 processors. In addition to improved Intel chips, the new MacBooks feature 802.11ac "Gigabit" Wi-Fi compatibility, which offers speeds up to three times as fast as existing 802.11n wireless networks. They have also gained dual Thunderbolt 2 ports and PCIe flash storage, which pushes peak read/write performance to nearly 800 MB/s, a 45 percent improvement over previous generation technology. Apple has not updated its line of standard MacBook Pros, indicating that the non-Retina versions are likely to be discontinued in the future, though the company continues to offer the 13-inch non-Retina MacBook Pro. Apple has reduced the pricing of the Retina MacBook Pros by $200, offering the entry level 13-inch version for $1,299 and the entry level 15-inch model for $1,999. Apple’s updated MacBooks are available today from Apple’s Online Store and at retail locations and come with Mavericks included. Haswell, Iris, Thunderbolt 2.0, PCIe flash storage, HD FaceTime camera, 9hrs of battery life, 802.11ac, thinner, lighter, Mavericks, and price reduced by $200? This is a great day for anyone interested in the 13in rMBP. Killing the classics... So classic of Apple. yes, at least they made it cheaper while also making it way, way faster. my god the entitlement on this forum kills me. nuts. so, the macbook pro is dead. long live the macbook pro. i'm still wondering if the classic MBP would be updated to haswell or at least still available for sale. I would still like the option to upgrade the memory and HD on my own. I've seen a lot of comments to this effect, and honestly, I don't understand the logic. What can you upgrade on a laptop? Not the processor, because that requires a new motherboard. Not the graphics card, because there's no room for it. Without those two, there goes about 95% of any potential performance upgrade. So what you're left with is RAM and hard drive. Unless your RAM is less than 4 gb, you're unlikely to get any noticeable performance boost by upgrading. Your processor and graphics card will be the limiting factor instead. So, you're left with the hard drive. What are you guys putting on your hard drives that you need several hundred gigabytes worth? If you have thousands of movies or something ridiculous like that, then invest in an external HD. Otherwise, you can probably delete half of that crap that you aren't using. Or move it to an external HD, or even the cloud. If you are one of those guys sitting there with 2Gb of RAM and a tiny hard drive, everything else in your laptop is probably also out of date. So you really need to just pony up and buy a new one. If any of you guys can't afford to buy a new laptop every 4 years, then you probably shouldn't be buying Apple products to begin with. Anyway, that's my thinking on the topic. I understand the desire to tinker with things and want to make them better, but honestly guys, just buy a desktop for that. I agree with Apple on this, I don't want to buy a laptop that is 20% thicker/heavier just so a few guys can make upgrades that aren't going to do them any good anyway. I'm saying it's a good thing. Get with the retinas already! Not sure if I want to wait or not now. Hmm..
Is Apple removing the non-retina models? No announcement.. 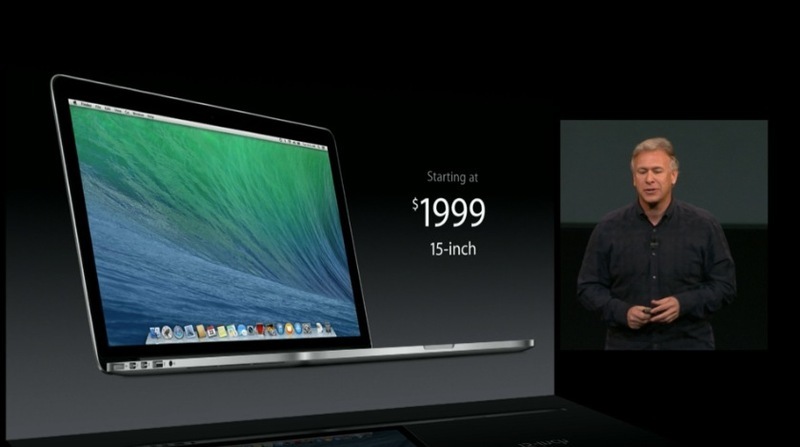 They kept the old 13" model around in Ivy Bridge trim for another month or so. Either way, it's a sad loss. The last user-upgradeable Macs in history are now officially dead (or dead walking). I know compressed memory kind of makes RAM upgrades obsolete, and SSD prices will come down, but being able to upgrade your own machine is a thing of pride for me and many others. It means we don't have to buy new computers every year. Which is why Apple killed it. Free OS X is nice, but come on, Apple. Turning the industry on its head? What, by locking in everyone? Disappointed. Well let me tell you my story, I bought a 2011 MBP classic, two months later I upgraded the RAM to 8 GB and 1 TB HD, and just three months ago I feel the memory is not enough so I googled it and it turns out my MBP can use up to 16 GB RAM and I bought 2 x 8 GB sticks and new 256 GB SSD. now my 2011 MBP feels as fast as the new MBP. there are benefits for DIY users when purchasing computers and not to dump huge amount of cash for the initial purchase. Woohoo! Before you ask, I get an 8% discount on Apple products through my employer. The 2.6GHz and 1TB upgrades should have bumped the price to $3,299. It was on 10/14/2008 that I purchase the unibody MacBook that this new computer will replace. 5 years between hardware upgrades was unthinkable when I was a PC guy.